When you think of daily habits, you might think of making your bed, unloading the dishwasher, or brushing your teeth. These are all great habits, but I bet your life would not fall apart if you forgot them. 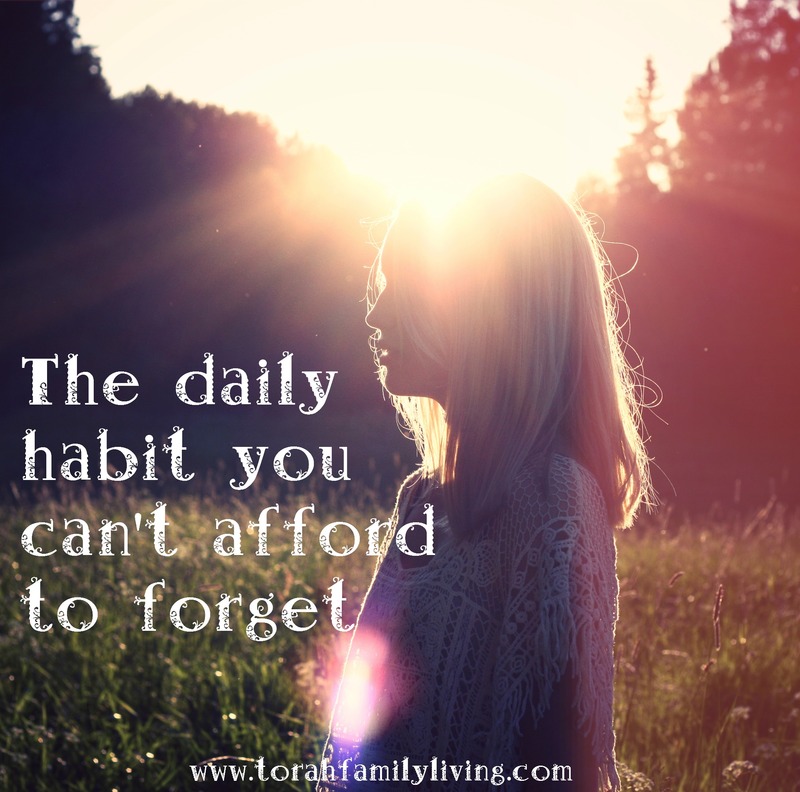 Today, I want to talk about a habit that you really can’t afford to forget. Every day that you do forget, your life is profoundly affected. This extremely important and essential habit is repentance. I’m sure we can all agree that repentance is a very good thing, but can we say that it is a daily habit we can’t and shouldn’t forget? Well, let’s take a look at Scripture. Elohim is a righteous judge, and an El who feels indignation every day. If a man does not repent, YHVH will whet his sword; he has bent and readied his bow; he has prepared for him his deadly weapons, making his arrows fiery shafts. Ouch! I think repentance is pretty important to YHVH. So, let’s take a look at it right now. First, let’s define repentance. I was taught that repentance is a 180 degree turn. This makes sense. If you are heading in one direction, and discover it is wrong, repentance would include recognizing the direction is wrong, and then turning around and heading in the opposite direction. If you realize that you have made a wrong decision in comparison to Torah and Scripture, or you are failing to obey in a certain area, repentance is required. If you have done something wrong, you need to confess it as wrong, make restitution as required, and take steps to avoid the same mistake in the future. Admitting you have done something wrong is very difficult. We want to be considered right all the time. We want to justify our actions and words. We don’t want to lose face. But confession is essential to repentance. Many people think confession is repentance, but I would say that it is only the first of three steps. Restitution is a lost art. We tend to look at punishment for a crime as simply jail time. But Torah teaches restitution rather than incarceration. In fact, Torah gives lots of examples of appropriate restitution. 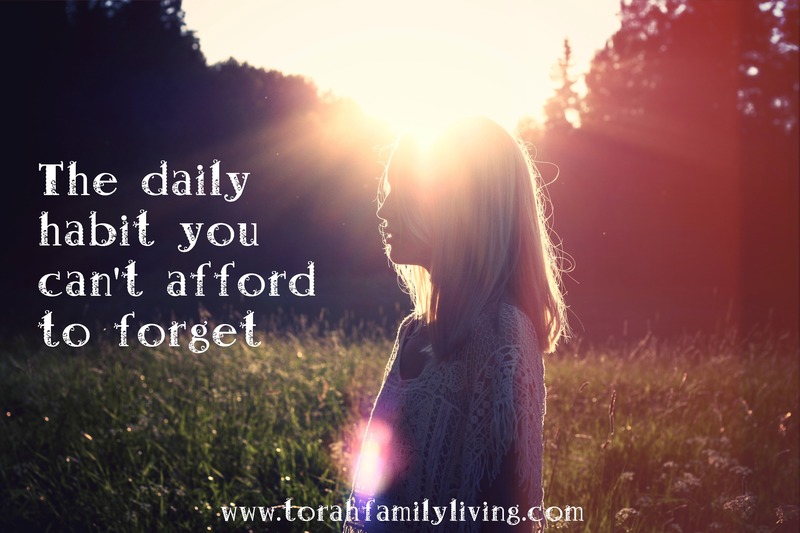 The Torah portion Mishpatim is a great place to start. In particular, read Exodus 21:33-22:15. I don’t own an ox, you might say. Torah talks about oxen because that’s what the people had at that time. Look beyond the ox to see the principle. If you steal an ox, or a bike, etc. and you kill, destroy, or sell it, you pay back to the owner five times the value. Restitution hurts, but it also effectively discourages the crime in the first place, as well as prevents future repeats. Once you have admitted the wrong, and made restitution, you need to prevent a repeat. This could involve accountability, written reminders, or fervent prayer for help. Once you have done this, then you have truly repented. If your sin was one of omission, this step would involve carrying out a plan to start obeying. Now that we have a better picture of what repentance looks like, why is it a daily habit that we shouldn’t forget? Each day that I forget to repent for my sins, I deceive myself into believing that I am without sin. My husband often says that the most dangerous lie you can tell is the one you tell yourself. When I don’t repent, I am actually lying to myself. I am ignoring the careless words, the sinful attitudes, and the disregard for certain commands. Each day that I forget to repent, I believe just a bit more that I don’t have anything in my life that requires repentance. This invariably leads to pride. It also develops the ignored sin into more of a habit. If you let this go on long enough, it will be very difficult to see your sin through the pride you have developed. This does not have to be a permanent problem. Start today. Honestly ask YHVH to begin to reveal your sin to you. Repent of even the smallest thing that you see. Do that again the next day. Soon, you will see your sin much quicker, and the pride will begin to dissipate, too. Another disastrous result of forgetting daily repentance is blocked prayers. This is a scary thing to me. I want to be able to approach my Father with anything, at any time. But if I am holding on to sin and refusing to repent, He does not listen to my prayers. The best solution I see for this is to spend time daily examining myself for sin. This doesn’t need to be an hour long personal bash session. But, as I approach the throne room of my King in prayer, I should begin with cleansing repentance. We see this in Scripture as we look at the Tabernacle. The priests were expected to wash themselves each day before serving in the Tabernacle. This is a physical picture of what we should be doing in our spiritual lives. Personally, I like to start my prayer time with confession. It feels good to approach Him with a clean conscience. Then I can offer thanksgiving and praise to Him. Daily maintenance is best to avoid harboring sins in our hearts. But what if you realize you have been holding on to sin and not repenting? YHVH promises to hear one prayer from us. He will always respond to a prayer of repentance. He explained to Israel that obedience would bring blessing and disobedience would bring cursing. Yet, He would hear their confession even from the farthest corner of the earth. If you find that you have been harboring sin in your heart and have not been repenting of sin as it comes up in your life, do not despair! Begin repenting today! Start with the most obvious in front of you, and then proceed to dig deeper. YHVH will help you as you seek to please Him. I am so thankful to serve such an amazing God! YHVH promises to forgive and deliver us when we come to Him with true repentance. We need to be a people that have learned to repent daily. We need to teach our children how to repent. We need to be sensitive to and keenly aware of our sins. When we are quick to confess, YHVH is quick to forgive. Too often in Israel’s history, they allowed themselves to get complacent. They did not see their sin for what it truly was. Before long, they were worshiping foreign gods and wondering where YHVH’s blessings had gone. We have been called back to obedience to YHVH’s Torah. He has forgiven our past transgressions. His mercy has no bounds. It is up to us to repent daily, diligently searching through our thoughts, words and actions to find anything that offends our Heavenly Father. When we, as a people, learn this important truth, YHVH will hear us and restore us. What more needs to be said? Let’s get busy truly repenting and serving our Elohim! Get a free printable to help you search your heart for what you might need to repent of. Thank you, your article help me today on my present situation-it opens my heart & mind as what a christian must do for God to hear my supplication.